Shades of emerald, ruby and champagne frame your face most regally. 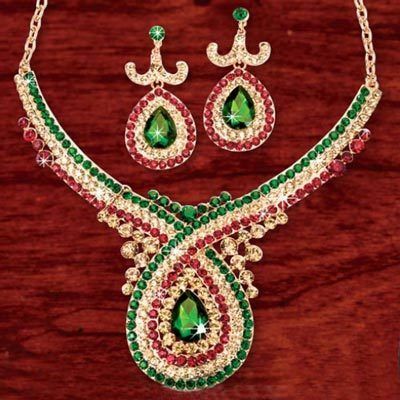 This Royal Twist Jewelry Set contains dozens of rhinestones set in gold-tone. Necklace, 14"l with 3" extender; Earrings, post backs, 2½"l. Hurry! Quantities are limited!